Internet availability has come a long way since 2000, when a small number of cyber-cafes catered mainly to UN staff. 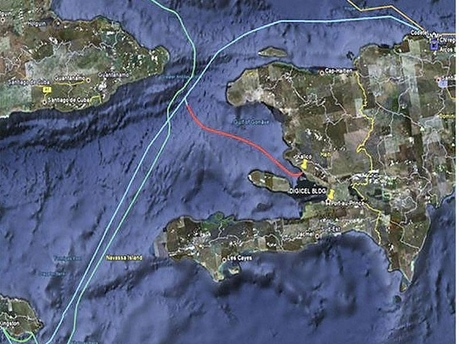 Broadband availability will increase significantly as a result of Digicel's latest project - financing the construction of a USD $16m 200 km undersea cable to Haiti. For a Caribbean country with a large Diaspora, the internet helps people stay connected and do business. It also has untapped potential as a learning tool, helping students to be active rather than passive learners. More information follows. Robert Maguire, with Trinity University and the United States Institute for Peace (USIP), recently wrote a well thought out report (attached and below) on obstacles to stability and growth in Haiti. Maguire highlights important issues such as the neglect of rural Haiti, where most Haitians live, and the need to bolster Haiti's Health and Education Ministries. Throughout, he states success depends not just on securing resources, but on allocating them in a way that is accountable, effective, and demonstrates the committment of the government to reform. Something to keep mind if investment picks up in Haiti. You don’t have to go to Haiti to learn more about Haitians. On the East Coast, there are a number of very good organizations both providing health and social services to the Diaspora and promoting Haitian culture. The Center for Haitian Studies (CHS), based in Miami's Little Haiti neighborhood, is an excellent example. Founded in 1988, it is a good resource for both Haitians and friends of Haiti alike. The United States Agency for International Development (USAID) is the development agency of the American government and a major bilateral donor to Haiti. USG support to Haiti is considerable - In Fiscal Year (FY) 2007, USAID provided 245 million dollars in foreign assistance to Haiti, 279 million in FY 2008 and is scheduled to provide 245 million in FY 2009. The goal of this support can be summarized in one word - stability. The point of this blog is not to evaluate these programs but to point out what USAID is doing, where, and to highlight some useful resources on the USAID/Haiti website.